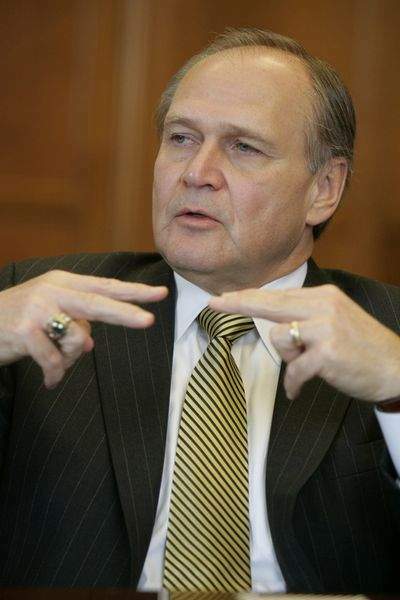 DETROIT, Mich. - With Chrysler LLC losing money and its market share plunging in the U.S., Chief Executive Frater Robert Nardelli (Zeta-Theta, Western Illinois Univ.) is tackling what he sees as the root cause of most of the auto maker's problems: its Old Detroit mind-set. Over the decades when Detroit's Big Three dominated the nation's auto market, Chrysler, General Motors Corp. and Ford Motor Co. often put their own priorities, like keeping their plants running at full capacity, ahead of satisfying customers. Now, Frater Nardelli is trying to replace those old habits with some of the no-nonsense management principles that have fueled the success of General Electric Co., one of his former employers. On Wednesday, the top 300 executives at Chrysler are expected to turn off their BlackBerrys and begin three days of in-house management seminars aimed at putting customers first in all of Chrysler's operations. Frater Nardelli himself is scheduled to lead a session on the corporate culture of a customer-driven company. The event is the centerpiece of a broader, yearlong effort by Frater Nardelli to overhaul attitudes at Chrysler. "The traditional way of running the company got us where we are now," Mr. Nardelli said in an interview last week. "So we're trying to break some of the old paradigms." Since August, when Cerberus Capital Management LP acquired Chrysler and installed him as CEO, Frater Nardelli, who left the top post at Home Depot Inc. early last year amid a dispute over his pay package, has vowed to turn the company into a smaller, nimbler and much more profitable auto maker. As a newcomer to the industry, he often defers decisions about new vehicles to Vice Chairman Jim Press, a former Toyota Motor Corp. executive who joined Chrysler in September. Another auto-industry veteran, Tom LaSorda, runs the company's manufacturing operations. But Mr. Nardelli has taken charge of re-evaluating some of Chrysler's traditional ways of doing business. The campaign for cultural change is "a big focus for Bob," said Nancy Rae, Chrysler's head of human resources. "We're leveraging his background" at GE. GE is known for agile decision-making based on carefully compiled data the company keeps on its various businesses, including their cash flow, competitive position and other details. Mr. Nardelli doesn't have much time for his new ideas to sink in. Although he says Chrysler is hitting its financial targets, he acknowledges the company is chalking up losses and burning through cash. And its business is being hammered as $4-a-gallon gasoline drives buyers away from trucks, sports-utility vehicles and minivans, vehicles that make up about 70% of Chrysler's sales. In May, Chrysler's U.S. vehicle sales fell 25%, and they are likely to continue falling because Chrysler offers few small cars and those it has aren't big sellers. Mr. Nardelli's campaign started earlier this year with detailed assessments of the company's 300 leading executives, many done by Mr. Nardelli himself. Plans call for this week's three-day seminar for top executives to be followed by four more two- or three-day training sessions throughout the rest of the year. The Chrysler CEO is also scheduling what he calls "fireside chats" with 10 or 12 executives one or two evenings a month to discuss the company and its challenges. Frater Nardelli and Mr. Press began thinking about changing Chrysler's culture soon after they joined the company last year. They found some of its practices worrisome. Promotions were often based more on seniority than performance. Overly optimistic sales forecasts led to poor planning and decision making. They also saw a tendency for the company to use the cheapest parts available, even if that compromised quality. In an effort to turn the situation around, people familiar with the matter said, Mr. Nardelli had dozens of top Chrysler executives read "The Ice Cream Maker," a book by quality consultant Subir Chowdhury. He also named a chief customer officer. In addition, Mr. Nardelli began bringing in outsiders to offer advice on turnarounds. A few months ago, a former International Business Machines Corp. executive talked about how the computer company merged some of its divisions, a person familiar with the matter said. Mr. Nardelli then began working with Ms. Rae on the series of five seminars that kick off Wednesday. Around the same time, Chrysler got a reminder of how much farther it still needs to go. J.D. Power & Associates was about to release a closely watched quality survey in which the company's three brands -- Chrysler, Dodge and Jeep -- all ranked below the industry average, and Jeep was dead last. Just before the survey was made public, Mr. Nardelli wrote a memo reminding employees to confront the company's problems. "Do not let anything override the priority to satisfy the customer," he wrote. "To win in a competitive market, we need to install a mind-set of never being satisfied with 'good enough.'" Adapted from the Wall Street Journal, Online Edition. If you would like to see your chapter news here, contact Communications Coordinator Tom McAninch.